Scroll Down The Page To View Our How-To Books on Writing and Publishing. To order copies of any book, simply click on the "Add to Shopping Cart" button. You will be shown your present order. The Revised Edition of A Quick Guide to Book-On-Demand Printing takes you step-by-step through the essentials of planning, designing, printing and binding true perfect-bound paperback books. Whether your budget is $200 or $20,000, this guide will show you how to print and bind real books for yourself. To learn more about A Quick Guide To Book-On-Demand Printing Revised Edition click on the title. Click on the "Add to Shopping Cart" button to add one copy to your order and view your current order.To ensure this page updates properly, use the shopping cart's navigation buttons (and not your browser's "back" and "forward" buttons) to navigate these pages. The First Book of Hazel in a three-ring binder. 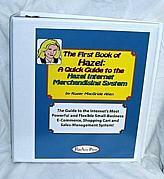 To learn more about The First Book of Hazel in a Three-Ring Binder click on the title. THE FIRST BOOK OF HAZEL on CD-ROM plus all the code examples from the book included on the disk. 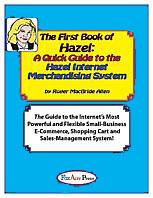 To learn more about The First Book of Hazel CD-ROM click on the title. The First Book of Hazel; pages only, without a binder. To learn more about The First Book of Hazel Pages Only click on the title. To learn more about Scam Agents (and How to Avoid Them) click on the title. 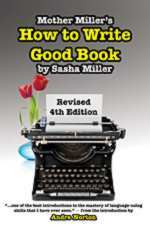 To learn more about Mother Miller´s How to Write Good Book Revised 4th Edition click on the title. To learn more about Print-On-Demand Book Publishing click on the title.